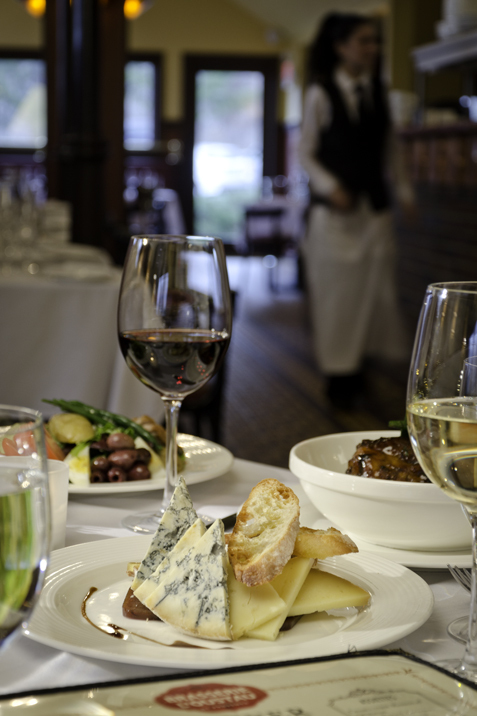 Bussers run the show at Brasserie L’Oustau. This entry-level position is one of the most important jobs in the entire operation and critical to providing constantly smooth and professional service overall. They must understand the importance of their responsibilities, be hyper-aware of what the most important thing is that needs to be done at every moment and then do it. Constantly moving, they are relied upon to be where they should be at all times. You may never even notice the bussers at Brasserie L’Oustau because they’re constantly on the move. Running a brasserie isn’t just about making food. Diners have an entire army of people working for them who have nothing to do with food preparation, but they’re the ones the customer is most likely to meet. These are the workers who at the end of the day are going to make the place sing or make it crash no matter how good the food is coming out of the kitchen. When you dine with us shortly after you’re seated your water glass will be filled by a busser. Your busser may then bring your bread and butter, present your amuse bouche, supply appropriate tableware, bring your order from the kitchen, clear the dishes away and keep your water glass filled. Their responsibilities extend beyond your visit to include resetting the table with new linen and tableware, refilling sugar containers and salt shakers and pepper mills, polishing silver, wiping glassware and folding napkins, keeping the water pitcher filled… and that’s just the start of the list of what they are expected to do. We interviewed two people recently, one a young man looking for a steady evening job while attending college and the other a recent high-school graduate. Neither candidate ever worked in a restaurant before. Both are bright, pleasant and very enthusiastic. Both have been hired. Good bussers don’t stay bussers for long if they want to move up; it’s a quick promotion to server, hostess or sometimes even prep cook. With the promotion would come a higher salary and the possibility to benefit from the support of a busser. Please know that your quiet busser will be given a percentage of the tip you leave; the server could not possibly be as good as they are without their help.